One of the world’s most diverse travel destinations, South Africa blends big experience with the best logistics. The result is an unforgettable holiday for any kind of traveller at any time of year. Honeymooners and romantics can look forward to exquisite lodges and boutique hotels; families will have days packed with activities; wildlife watchers sit back to epic game viewing. Accommodation ranges from the best there is to just like home. And everyone will enjoy South Africa’s famous mix of old-school hospitality and modern-world infrastructure. Join a tour, package your own or hire a car and do it your way – you’ll find the people friendly and the food fabulous. Two stand-out destinations – Cape Town and the Sabi Sands (a private Big 5 reserve that adjoins the Kruger National Park) – feature on most South Africa holiday itineraries.They are easily combined, offering the traveller some of Africa’s best game viewing plus all the attractions of ‘The Mother City’ – Table Mountain, Cape Point, Boulders Beach Penguin Colony and the Cape Winelands. 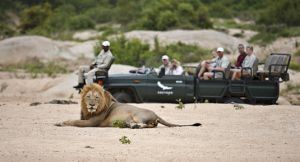 It’s also easy to get around and enrich your holiday – South Africa is a destination with many add-on experiences. The Whale Coast – home to amazing whale watching in spring – lies close to Cape Town. Further along the Cape coast, the family-friendly Garden Route beckons. A long lazy stretch of beaches and forests, the Garden Route is ideal for a self-drive adventure, especially as it ends where malaria-free Big 5 game reserves begin. 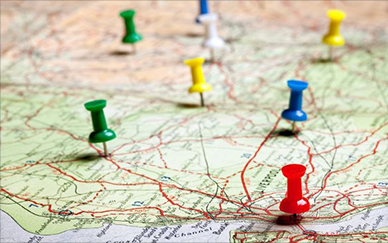 A short domestic flight gives you access to South Africa’s other holiday hotspots. Families with children will love the thrills and spills of super-resort Sun City and its nearby malaria-free game reserves. Travellers looking off the beaten track are sure to love the wildlife-rich KwaZulu Natal wilderness and its tropical beaches. Make it a regional flight and you’ll turn your holiday into a Grand Tour. Fly from Cape Town and Johannesburg to iconic African destinations such as Victoria Falls and Botswana, or hit the dazzling beaches of the Indian Ocean on a hideaway Mozambican island. 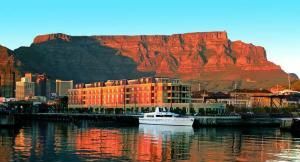 Cape Town – Table Mountain, glorious beaches, wine farms, Cape Point & penguins, the Mother City is a holiday all by herself! Sabi Sand / Kruger – private & exclusive, the Sabi Sand Reserve is the best place in Africa to enjoy superb sightings of the Big 5. 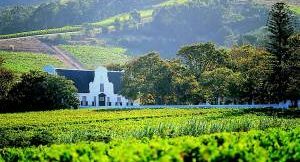 Cape Winelands – close to Cape Town, the Winelands offer a blend of picturesque charm & gastronomic indulgence! KwaZulu Natal – teeming game reserves & golden beaches with coral reefs? It’s home to classic ‘bush & beach’ combos. 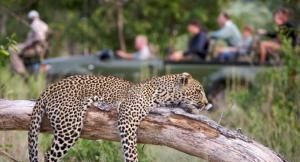 Madikwe Game Reserve – for a malaria-free safari as appealing to honeymooners as it is to families and adventure-seekers. Whether you hike or take the cable car up, the best view of Cape Town is from the top of Table Mountain but leave time for Robben Island, the V&A Waterfront and Kirstenbosch Gardens. 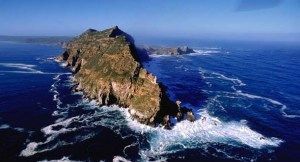 Cape Point is often wild & windy but you can’t get further south-west in Africa. Dramatic views, baboons & antelope plus penguins at nearby Boulders Beach – a great day out. The very best Big 5 game viewing is at the Sabi Sand but there are other great Big 5 destinations, many of which are malaria-free & perfect for families. Or a Shiraz … South Africa has been producing wine for 350 years & you’ll be spoilt for choice in the majestic mountains of the Cape Winelands. Expect stunning views & heavenly food too. 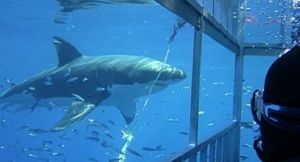 The Whale Coast’s seasonal whale watching is famously land-based but you’ll need to get onto a boat – or even better, into a cage – to see great white sharks. Luxury train travel takes on a new dimension with five star luxury hotels on rails. 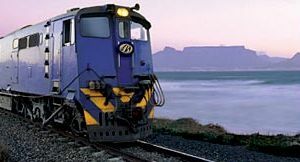 Multi-day train journeys take in South Africa but also go as far as Dar es Salaam. 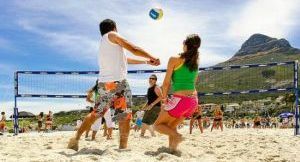 Cape Town has the most fashionable beaches but if it’s a proper beach holiday you want, head for the Garden Route or KwaZulu Natal for warm water, easy swimming & safari add-ons. 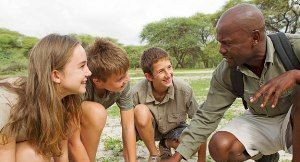 Safari camps designed for families, malaria-free game reserves, sunny holiday resorts, sandy beaches & easy logistics … South Africa was made for family holidays.